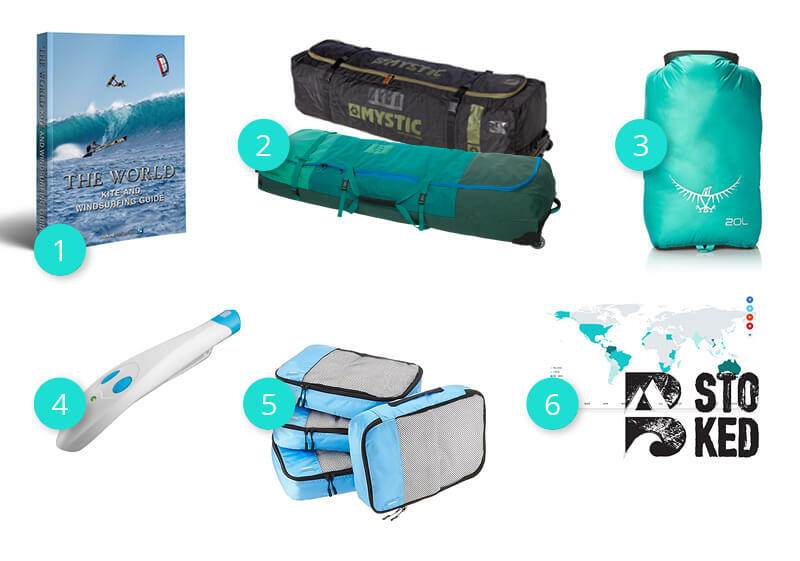 Still looking for a present for your kitesurf addicted friends or partners? 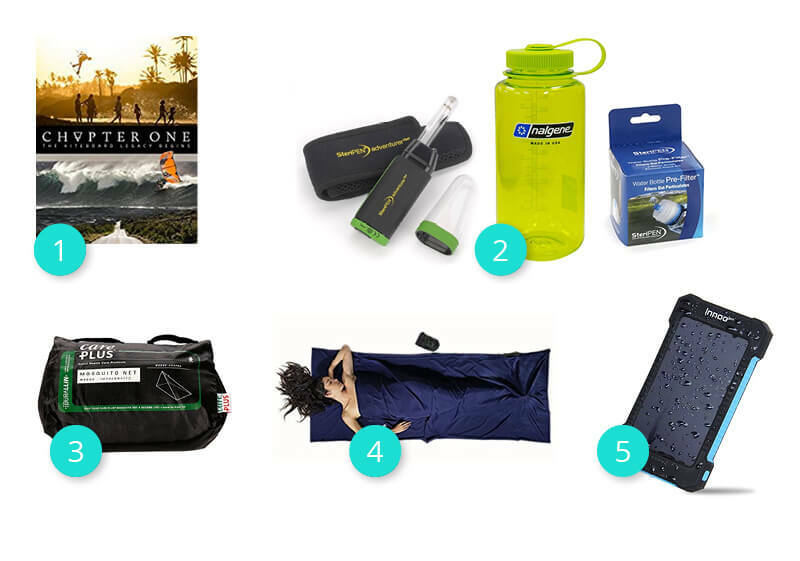 Here are tons of ideas on what to buy for every type of kiter – the landlocked, the travel hungry, the adventurous, the eco-minded, the stylish, the techy or the sun-seeking kiters. Some of the presents require a higher budget but how about you just put yourself together with some friends or family members and all join to pay for a really outstanding present? The best way to train your balance and keep a little bit of ocean feeling back home. Whenever I’m really frustrated or need a break from working this would light me up immediately and train my balance skills and muscles at the same time. This really is the world’s smallest balance board and will fit even into the most crowded apartment – developed by London-based Surfer Mason who wanted to train as well during his regular office days. (Obviously we have a big Balance Board and a RooBoard at home – we’re a kitesurf family so everybody can train at the same time 😉 ) Other than the regular balance board it can be used for different forms of strength training excercises so at the same time it’s a functional fitness tool. RooBoard even has a huge youtube playlist with different excercises, anything from Core Fitness up to HIIT training. How about an illustrated map of the world with all the kite surf spots inside? This map shows over 500 kitesurfing spots plus information on style, level, wind direction, water temperature and peak season. 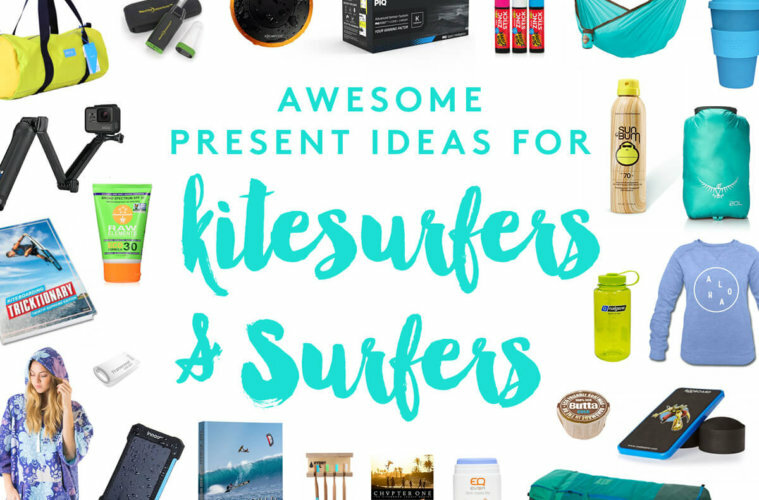 Everything you need to brainstorm for your next kite surf trip. Worldwide free shipping. You get 10% off on all maps when using code “WAKEUPSTOKED” at checkout. 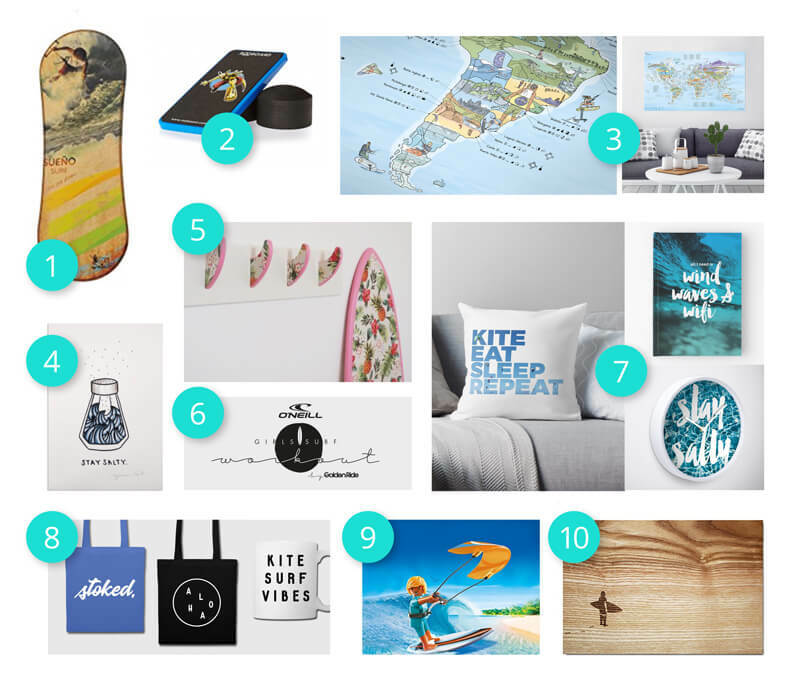 Saltwater inspired Illustrations to make your home a bit more surfy. Surf up your home – with beautiful (also custom-made) furniture and decoration. The only problem? It will be hard just buying one item 😉 And if you’re feeling creative: make your own surf rack with your old surf fins following their free DIY guide. Shipping in Europe. How about giving your friends a voucher to e.g. the Girls Surf Workout (happening in Munich, Cologne, Berlin, Hamburg and Vienna) to get them ready for their next kite or surf holiday? If you’re not living close to those cities, simply look for surf workouts, there are tons of different offers and options in every major city. 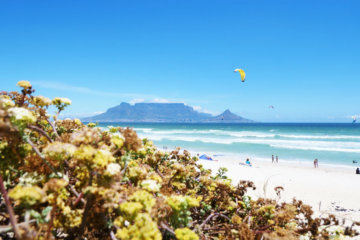 Even if your miles and miles away from the ocean, you can fire up that kitesurf feeling! How about a Kite Eat Sleep Repeat pillow to remind you of the good times or a watch that reminds you to always stay salty? Worldwide Shipping. 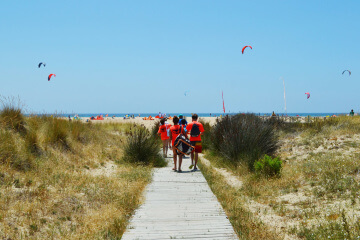 Even if your miles and miles away from the ocean, you can fire up that kitesurf feeling back home! How about a Kite Eat Sleep Repeat pillow to remind you of the good times or a watch that reminds you to always stay salty? Worldwide Shipping. Pretty much the best way to progress since it’s so visually appealing and new tricks are explained step by step from different angles in those tutorial videos. Simply get a gift voucher so that your friends can choose which collection they would like to have! The king of spectacular old school tricks – there is nothing quite out there that gives you that much inspiration on elegant big airs. Far away from mainstream, Toby found his style and I love how he keeps developing new tricks. Worth watching and trying! You can either buy the DVD or simply rent it on Vimeo. This is the cool version of a kitesurfing manual, providing you with tons of inspiration on tricks in three categories: Superbasics for advanced kiteboarders of all levels and styles, Airstyle (old school, hooked in tricks) and Newschool (wake style, unhooked moves). Get higher and better with every session and measure your progress – the North and PIQ motion sensor is a highly advanced wearable kiteboarding technology with a real time display that shows the height of jumps as they’re happening. The mobile app also provides precise data and unique session insights once you’re back from the water – and you can measure and battle yourself just for the fun with your friends. This is what I call the bible of kitesurf travels! Introducing almost 100 regions in nine continental chapters, it features over 1,250 of the world’s best spots. The world is a playground and this is the place where you can see all your bucket list destinations in a great overview and detail. You can get either the The World Kite and Windsurfing Guide, or The Kite and Windsurfing Guide Europe. Every Kilo (or sometimes gram) counts ? The true lightweight leader out on the market is Mystic’s Elevate Kitebag – you can even detach the wheels! The 140cm bag itself weighs only 2.2kg without wheels, 3.4kg with wheels. 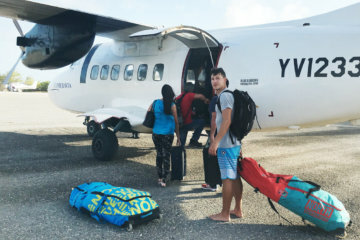 If you’re looking more into a colorful kitbag, check out North Kiteboarding’s Combi Bag – the 139cm bag only weighs 3 kg (with wheels which are not detachable) and rules with style. Most warm and tropical places have one downside – mosquitos. This little wonder machine can at least help with the annoying itchy feeling after you’ve been bitten. Basically you point it at the mosquito bite and press the button, which heats up the bite locally to 51 degrees Celsius and destroys the itchy feeling. It stings when you use it for those 3 seconds but then the itching is gone. 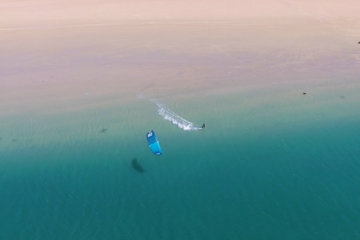 Have you already seen the article on the best kitesurf adventures? How about you do something like that for your friends as a christmas present – as a flyer or online pdf? Up for a last minute trip? 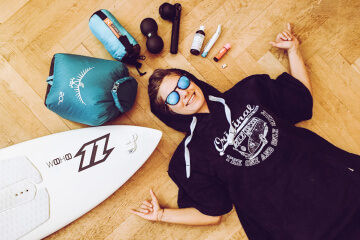 Check bluebirdkite, they are kind of the German “holiday pirates” version for Surfers and Kitesurfers and always find really good last minute deals, insanely cheap flights or also combos for hotels with flights. Or you simply surprise your friend with just the IDEA to go on an awesome kitetrip (or a small down payment 😉 ) you found on bstoked. Like… renting your own island or going on a sailing cruise around Los Roques. Just to present the idea to your friends is probably one of the best presents you could make them?. Wear the stoke, all day, every day. No matter how cold it gets, you’re wearing the sunshine from the inside out! Choose your message of choice – like Aloha, Mermaid off duty, Stay Salty, Stay stoked or many more. These ocean-themed designs will make you keep that surf feeling of freedom and happiness also in your everyday life. 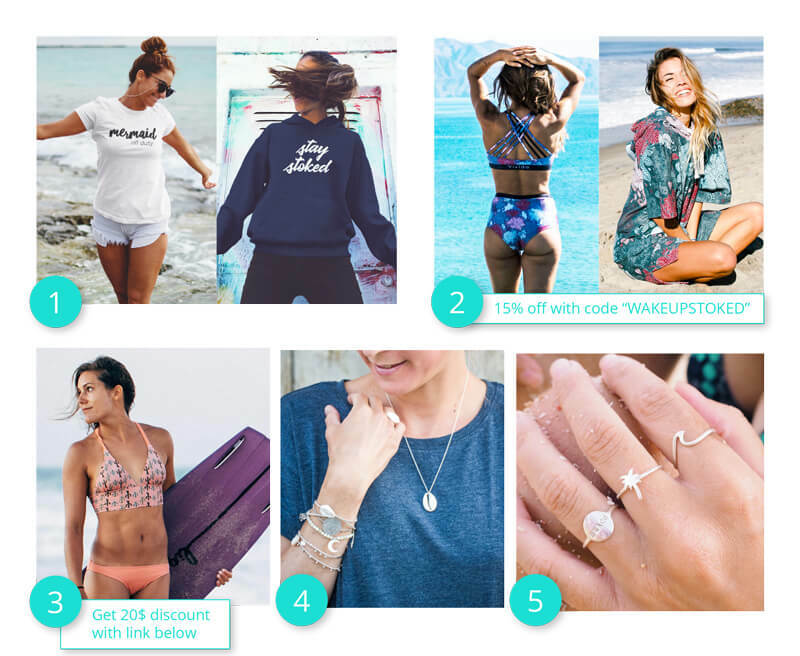 The fluffiest ponchos, beautiful kitesurf bikinis and waterwear and comfy yoga wear. 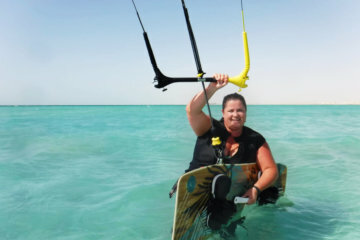 This brand is the all-rounder for kitesurf-addictes kite girls (and men) out there! 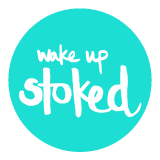 Get 15% off when using the discount code “WAKEUPSTOKED”. Bikinis that stick with your kiting AND look super stylish – out of all the Surfer Bikinis Sensi simply rocks with her designs and puts a lot of attention into the details which make the bikinis look rad! My personal favorite considering the cut is the Claire Top and Colleen Top. Get 20 USD off when using this link. If you need more inspiration on kitesurf bikinis, make sure to check out this post on the best bikinis for girls who shred their faces off. Dutch Kitegirl Kelly designs the MOST BEAUTIFUL silver jewelry (and clothes). But seriously, the jewelry! I have so many favorites that I started listing them but it would get an endless list. So just check it out for yourself ? Worldwide shipping. Probably the most inspiring kiteboarding movie that is out there at the moment – breathtaking spots, some of them less known, and a movie that will let you feel the ultimate feeling of freedom that kitesurfing provides. You can rent or buy the movie here on amazon. Suited for your outdoor adventures all over the world and an easy way to always have potable water with you (or to be a able to create it in seconds). This UV water purifier destroys more than 99.9 percent of harmful microorganisms like bacteria and viruses without altering the case of the water. It purifies 1 liter of water in 60 seconds. If you can see particles in the water you can use a pre-filter to first filter the particles out and the use the purifier. They easily fit on the wide Nalgene bottles (BPA free) – which come in handy anyway to take on your travels. If you’re going Malaria areas or simply don’t like to get bitten by mosquitos or don’t want to be surprised by a cockroach in the middle of the night this is always a good option. If you don’t have a big budget or go to very remote spots it’s always nice to have your own sleeping bag. It weighs only 290g and is always nice to have. You can either buy the single one or also the double version if you travel as a couple. 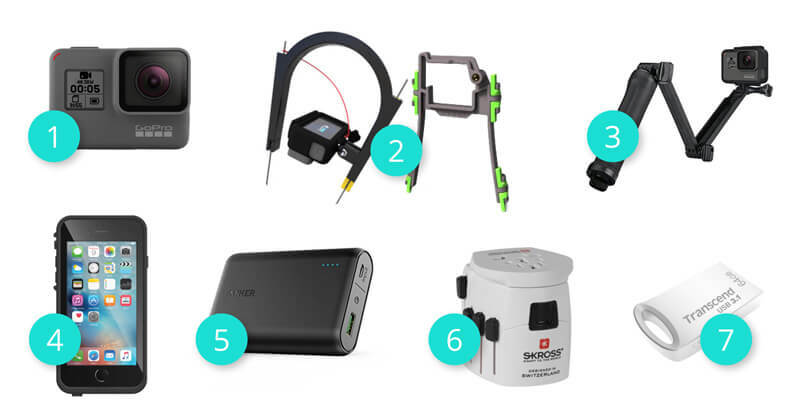 The solar portable charger from InnooTech for the adventurers in sunny places to charge your phone and GoPro whenever there is no electricity or you’re on the road. 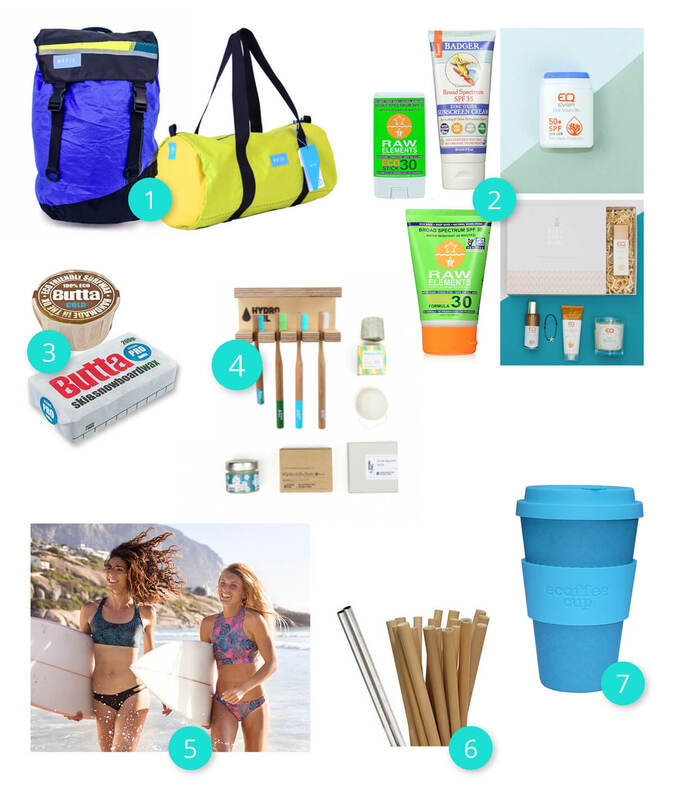 Sun Bum definitely wins with the style factor and smelling – so for the design-loving kiters the perfect choice. For those who just cannot get off the water and out of the sun, p20 which claims it’s an “apply-once-a-day” sun protection, is the way to go. There is no sunscreen in the world that can protect supersensitive cheeks and nose tips – there is only one simple solution to that: Zinc Sticks! They really do stay on for all the session, make you look like a saltwater warrior. Sunzapper has them in all colors. The organic version (without Zinc) is from EQ wich is made out of pure and natural mineral pigments. EQ furthermore produces a whole range of sun protection which is certified as non-toxic to coral reefs and the marine environment. Burnt lips are no joke, luckily it never happened to me ? I usually buy the cheapest sun lip stick I can find in the local drugstore in Germany (dm has a good one with SPF 50) so just choose any you can find in a drugstore with SPF 50 (below it doesn’t make too much sense) or you can buy it online here. The background is that usually when your sunscreen washes off, the chemicals inside the sunscreen do too. Those substances have toxic effects on corals and increase coral bleaching. This is why you should choose reef-safe sunscreens. EQ has colorful sunsticks and sunscreens or also ready-made packages either as travel kits or nicely boxed packages like “Let your light shine” or “Mermaids at heart” with great products. You can also go for the sunscreen of Badger or sunscreens of Raw Elements (they have sun sticks for the face as well) for example. For the strapless kiters, surfers, skaters and snowboarders there is also eco-friendly solutions regarding wax. Again, like in the sunscreen, the nutrients are being harmless to the ecosystem and wildlife. Butta is a cool UK brand – their office is 90% solar-powered and is situated on a peacock farm. Their snowboard and surf waxes are handmade by them in the UK. You can see their whole range of products here or simply grab your surf wax right here. Hydrophil has beautiful, minimalistic and and sustainable toiletries, anything from soaps, toothbrushes, toothpastes etc. How about a Handmade Wash Bag filled with sustainable goodies or the Wellness Gift Box for Christmas? Beautiful bikinis that fit like sport bras and the best is: they are made in Germany with eco-sustainable materials by passionate kite girl Jocy (and I had the honour to design the logo for them so have a lot of insights and love the brand). If I consider that I drank 3 coconuts a day for 6 weeks (and then adding all the fresh juices) in total this winter season, I have pretty bad conscience. Probably everyone that goes to Brazil to kite or other tropical countries with yummy cold coconuts waiting for you after your session will have the same problem. The Solution is either Bamboo Straws (which are the best solution from an eco standpoint) or the Stainless Steel Straws (which come with a cleaning brush). Super light, cool design and they’re made out of bamboo. You can order them here from the UK here and here if you’re from Germany. The GoPro Hero 7 black has an insanely smooth stabilization (finally!) 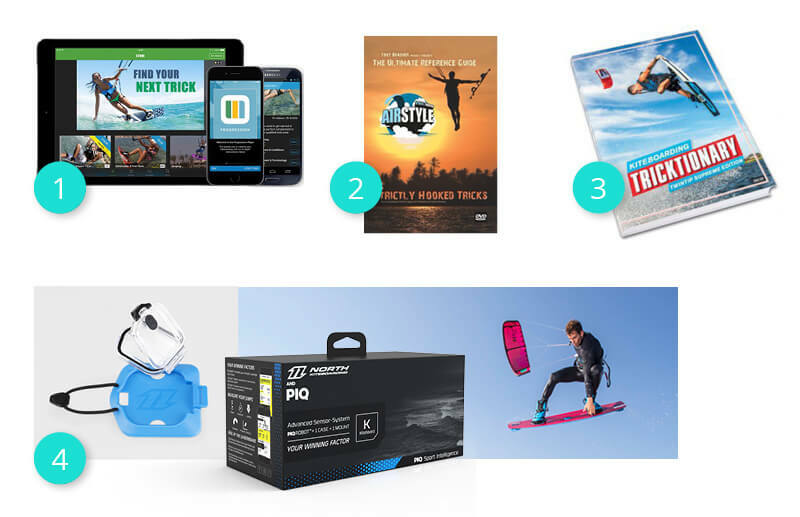 which makes it possible to take amazing footage while your kiting – gone are the days when you were super excited to watch your footage and it was all just super bumpy! (See a comparison video from the old and new GoPro here)! My favorite perspective to shoot with the GoPro since you got the full overview and can capture your stunning surroundings. Ugo Kite Line Mounts are available in 7 colours and work with various action cams (shipping in Europe only) and can be used as a kite line mount or strut mount. The Camrig line mount is also an alternative. Selfie Stick (as a camera grip or foldable extension arm) and Tripod in one – the allrounder. Make your phone dirt-, snow- and waterproof with those nice-looking cases. Lifeproof also has all the fitting mounts like e.g. bar mounts or suction cups to capture your best moments on the water. Your GoPro is empty after filming the first session and you’re taking your break in a fisherman’s hut without electricity? Or you stay in an Eco Kite Camp which only has electricity a few hours a day? Here is a literally little and light device that will save you – this portable charger can quick-charge your phone up to 4 times faster and will charge your phone at least 3 times (tablets 1 time) fully. .
One adapter for the whole wide world – so easy! Someone just took awesome shots of your last session and you would like to have them? But nobody owns a flash drive and the internet is superslow? Just bring your own tiny but mighty flash drive and you won’t have those problems anymore. What is life without the right music to get you pumped for your next session or enjoy the post-kite-stoke? A must for the to chill before and after your sessions. Made out of super light parachute silk, love the material and can be packed really small. But first, coffee. Your day only started once you had a proper Espresso. You’ll get it now, no matter where you are, no electricity needed. what a faaaat post is that please? I think there is something for everybody here. I truly love the eco-friendly aspect too. Cant wait to test some sunscreen… Thank you so much! Love your blog , keep going girl!! YEAH! What a list… Thx ? ohhhhh vielen lieben dank für deine erwähnung im blogpost! eine freundin hat mir grad geschrieben, dass du mich bei deiner tollen geschenksiddeenliste mit dabei hast! 🙂 <3 liebste grüße aus österreich! :* alex | a pinch of salt. 3. ich glaub ich hatte es nicht in der Liste gefunden: es gibt so Magnethaken die man ans Auto klippt und dann den Neo ran hängen kann. Haben wir auch mal verschenkt. 4. Neoprenshampoo haben wir mal verschenkt. 6. es gibt Teekannen von Emsa, da hält der Kaffee/Tee den ganzen Tag warm. Nicht die Travelmugs. Die sind nicht gut. ? Wir haben aber auch schon Zelte zum Umziehen, Solarduschen und diese Luftkissen Liegen verschenkt. Kiter sind da ja weit gefächert in den Bedürfnissen ? Amazing list 🙂 Would love to send you some products to make nice blog about ION wetsuits for our shop http://www.surfnow.eu * Contact us please.